Sometimes, you hear the view espoused that Bratislava is a kind of poor man’s Prague, a pale imitation of the real thing. Yes, it’s quite nice, but Prague is the place you really want to visit. Bratislava is okay for a few hours, they’ll tell you, but nothing more than that. This view is not only lazy, but plain wrong. 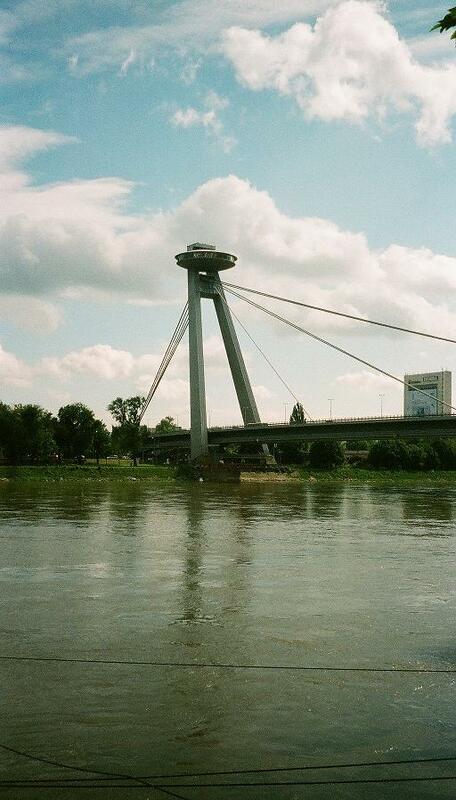 For one thing, Bratislava is nearer to Vienna than it is to the Czech capital, the two cities being Europe’s closest capitals. For another, and more important factor, Bratislava has its own distinct character, with a few delightful quirks that give it an individual style. One way to enjoy a stay in central Bratislava without incurring too much expense is to stay on a boat. There are several ‘botels’ moored on the Danube and apart from being near the centre, the experience offers novelty value. Unless, of course, you happen to live on a boat. One sight on the river that you can’t miss – in any sense – is the UFO Bridge. Its real title is the Bridge of the Slovak National Uprising and though it looks rather 21st-century, it was, in fact, completed in 1972. You can go up to the top of the ‘spacecraft’ via a lift (unless you really want to walk up 430 steps) and have a coffee or a meal in the restaurant. From there, you get a fantastic view of the city and if you sit still for long enough, you find yourself looking at a different part because the place revolves (very slowly, thankfully). In the evenings, it becomes a nightclub. 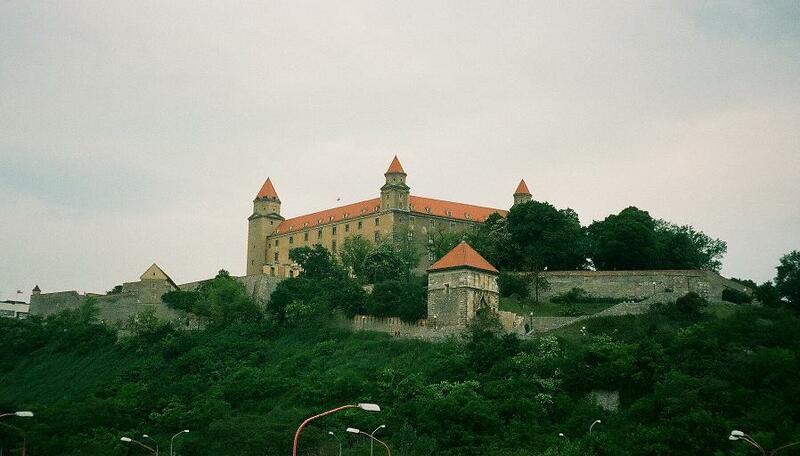 Another place to provide a panoramic view is the castle, which affords a sight of the city of Bratislava, but of neighbouring Austria as well. Like many European castles, this one has undergone much rebuilding and restoration, resulting in a mix of styles from Gothic and Renaissance through to Baroque. The site houses the current Parliament building, a rather dismal grey box of concrete, and also the Museum of History and Music Museum. One of the remaining parts of the medieval fortifications of the city is St. Michael’s Gate. The lovely Baroque tower houses a small museum and at the top, there is another wonderful viewing point. Bratislava does scenic views very well. The street below the gate is, apparently, one of the most expensive in Europe and clearly designed for those with far too much money. Designer names abound on the shops and the restaurants are not for those of us looking for good value. A quick departure to a place of more modest ambition is required and there are plenty of those, even in the central parts of the city. It’s not hard to find somewhere to refuel for a fraction of the cost of the area around St Michael’s. Something that costs nothing at all is an exploration of one of Bratislava’s endearing traits, street sculpture. A figure appears from a manhole in the street; a shady-looking paparazzo snaps passers-by outside a restaurant; a Napoleonic soldier leans nonchalantly on the back of a bench in the main square. 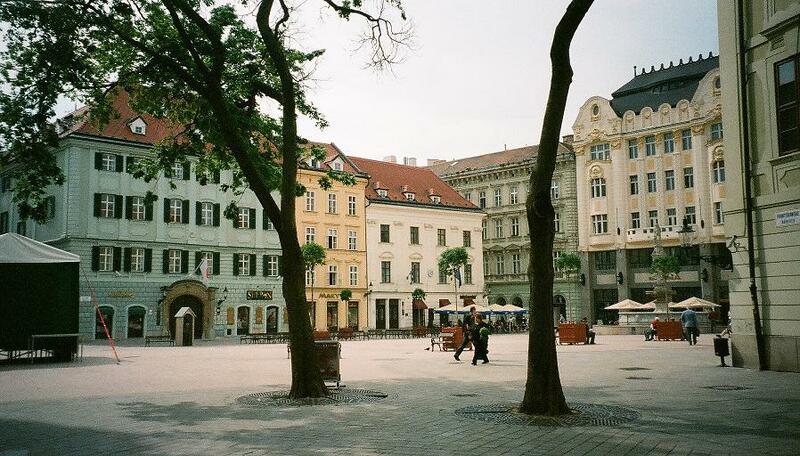 In Hviezdoslav Square, you’ll also bump into a statue of Hans Christian Andersen, who was so complimentary about Bratislava that the favour was returned. As you might expect, Slovakia is big on beer (one thing it does have in common with Prague). There are the usual international conglomerates and there is a fair amount of Czech beer to be found, but there is also a pleasing growth of micro-breweries and brew pubs. A good example of a proper, no-nonsense pub with its own brewery is Pivovarský Hostinec Richtár Jakub, which is near the university and which sells not only its own beer, but a range of guest beers from elsewhere. There is no shortage of places to have a good drink and even in the central part of town, it doesn’t have to be expensive. One option, particularly in the summer, is to find a little bar down by the river and sit outside with a very cheap glass of beer while watching the evening sun go down. 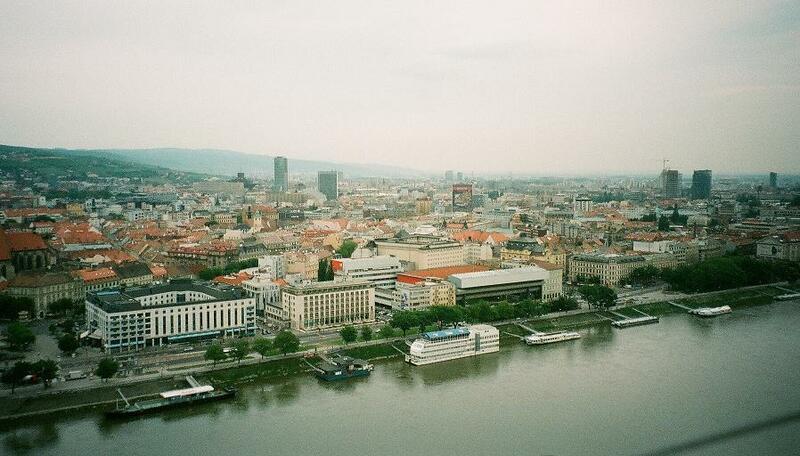 Bratislava’s proximity to Vienna is reflected in the culture of music, theatre, opera and ballet. Just near the watching statue of Andersen, the ‘old’ National Theatre building in the Old Town is a glorious neo-Renaissance affair dating from the 1880s and the Austro-Hungarian days. Sadly, the use of this theatre is being overtaken by the ‘new’ National Theatre, which took more than twenty years to build and finally opened in 2007. Presumably, such a length of time was required to design and construct a building as hideous as this. Mercifully, though, there is more to Bratislava than the odd hideous building. These things happen in any city and sometimes, buildings are so bad that they become attractions of their own. Bratislava’s sights, museums, restaurants, bars, parks and streets are a match for anywhere in Europe, all with the bonus of the magnificent Danube at its heart. Don’t for a minute believe all that stuff about Bratislava being merely Prague’s poorer little brother. This entry was tagged Bratislava, Danube, Slovakia. Bookmark the permalink.